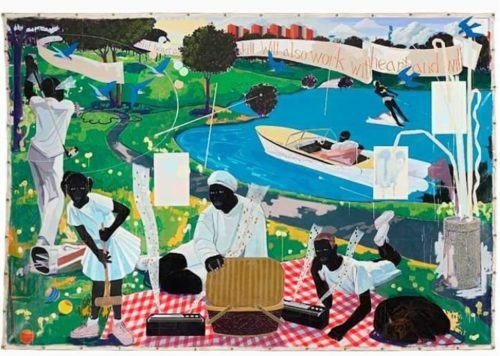 Sean “Diddy” Combs has been revealed as the buyer of Chicago artist Kerry James Marshall’s “Past Times,” the work that sold at auction this week at Sotheby’s for $21 million, reports The New York Times. The thirteen-by-nine-foot canvas, which depicts a black family picnicking in a Chicago park, is noted as the most ever paid for the work of a living African-American artist, and the painting originally debuted at the Whitney Biennial in 1997, and was sold to the Metropolitan Pier and Exposition Authority in Chicago that same year for $25,000. 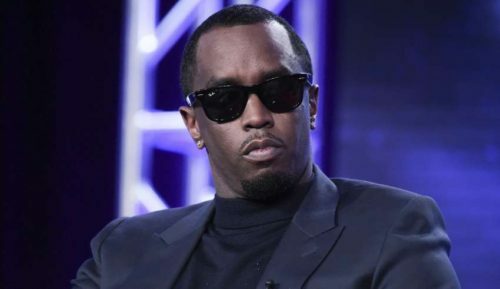 Interestingly, the hip-hop mogul was introduced to Marshall’s work by musician and producer Swiss Beatz, who is also a passionate art collector, and Diddy viewed the painting firsthand at Sotheby’s before the sale. Additionally, Marshall’s work has received increased recognition lately, which depict events from African-American life, and the subjects they embrace such as portrayals of youths, homes, nudes, and family.